Great new large Cactus from Tony Evangelista. 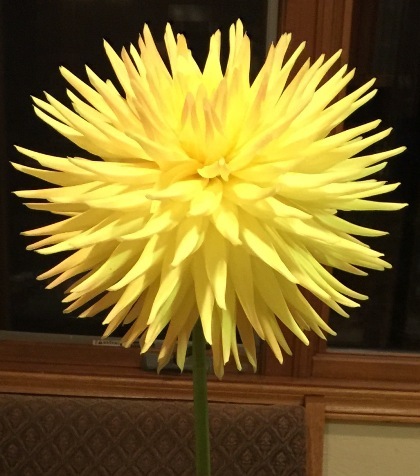 Scored 91.9 at Dahlia Society of Ohio on 2017 bench. Best Fully Double Seedling at 2015 National Show in Long Island. Multiple head table appearances other shows. Kenora Jubilee is seed parent and Embrace is pollen parent. All proceeds from sale will be donated to American Dahlia Society Research Committee.